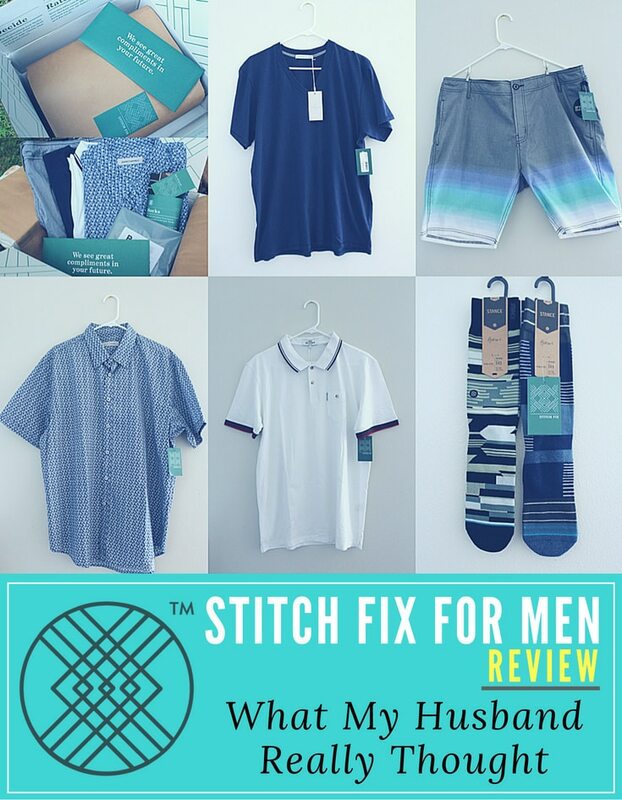 Stitch Fix Review for Men – It’s My Husbands Turn! 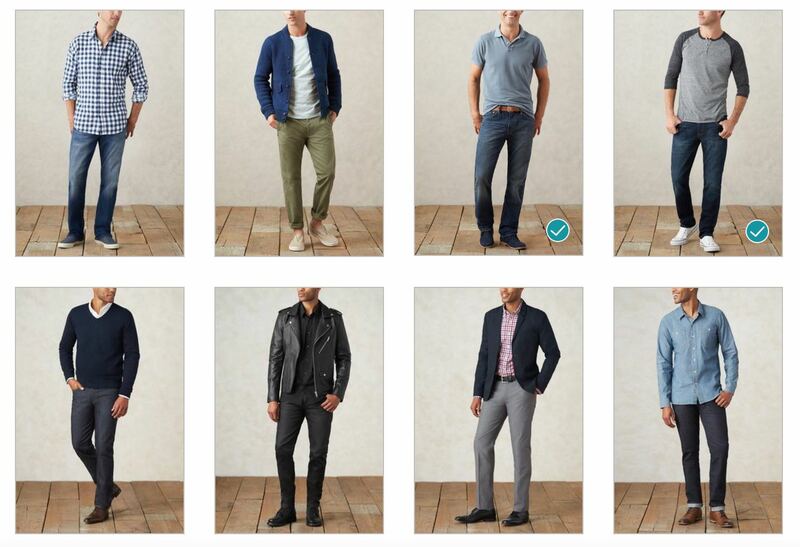 Did you know that Stitch Fix offers a Men’s service now? When I heard that they recently added the ability to style Men, I thought it would be interesting to see what my husband thought of it. We went to the Stitch Fix Website & selected the ‘Men’ link to sign my husband up for his own account (as of right now, only one profile is allowed per account). It took less than 5 minutes to set-up his style profile & schedule a fix. Right off the bat he liked that they didn’t limit him to unknown or high-end name brands, but included trendy & casual brands like Vans, Hurley, Under Armor & Levi. Being a husky guy, he also appreciated that they offered sizes from XS to XXL – with pant sizes ranging from 28-42. Selecting his shape, fit and sizes couldn’t have been easier. I loved the way he could chose from a visual selection of ‘What style would you wear’? I wish they had this for the women! My husband liked this because his style is definitely more casual & rugged, which was easy to identify. 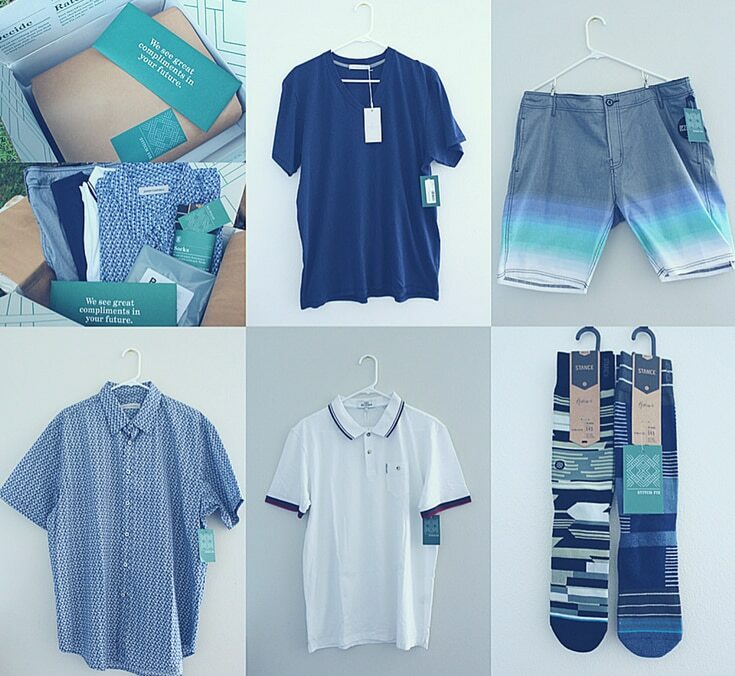 5 Items: V-Neck T-shirt ($28); 2 Pairs of Socks ($28); Board Shorts ($65); Polo Shirt ($69); Floral Printed Button Down Shirt ($90). I liked everything they sent him, but think he needed to emphasize exactly what he wanted more clearly. I feel like thats the secret for getting better fixes – even for women. In the end, he returned everything but the socks. $20 for the Styling Fee – Which was credited towards his final order. FREE Return Shipping of Unwanted Items – Stitch Fix includes a prepaid label in the box. Note: If he kept everything, the total would have been $190, which included a 25% discount & the $20 Styling fee credit. 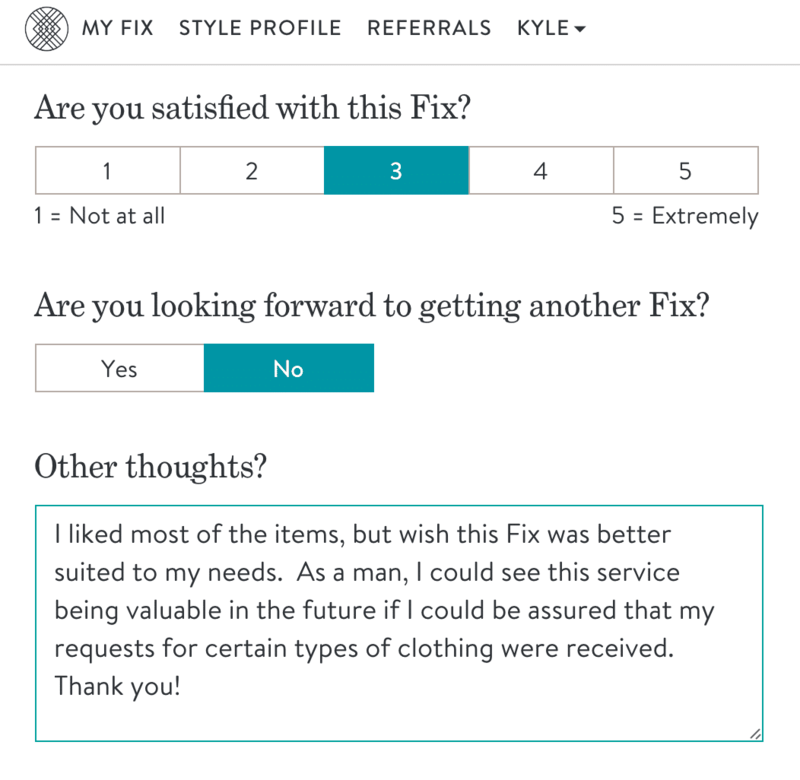 We both agreed that the Men’s Stitch Fix service would be a great gift idea for a Man’s Birthday or Christmas! If you decide to try Stitch Fix for Women or Men, I’d suggest making your style & expectations as clear as possible… then let us know what you think! And remember, have fun & enjoy the process – you just might find it works really well for you! UPDATE: Since deciding to keep the socks, my husband went to try them on (before washing) and they were WAY too small! The package said Large, but that could not have been right – I couldn’t even put them on. 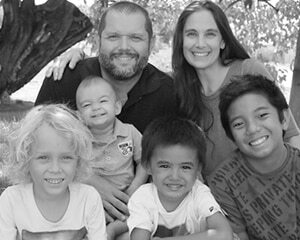 But, they were small enough for our son to wear – So, now our 7 year old has a very expensive pair of socks. 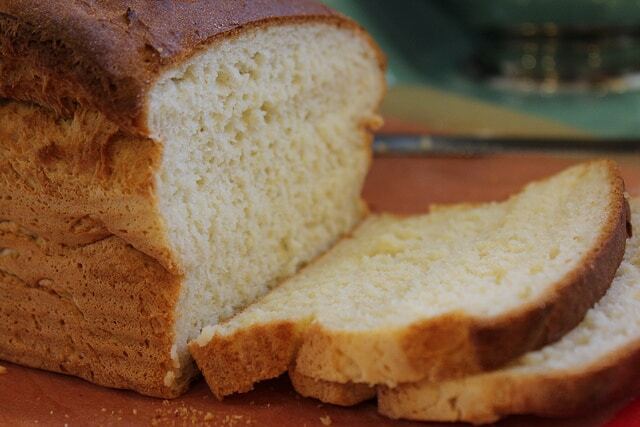 Please note that this post contains affiliate links through which I may be compensated… But, I hope you all know me well enough now that I share my own, truthful options – good & bad for any product or service that I review. They did an okay job on types of clothes they sent me, but the fit was bad on jeans, good on slacks. They didn’t listen to color preferences at all. Only one shirt was something I liked, but my GF had me keep the pants since I needed tan chinos—a very expensive pair for me, that has no stretch, so they will never be worn regularly as I can’t go golf right after work wearing them. A REAL BUMMER! You got nothing you asked for and they lost all their profit. I doubt if they’ll be in business much longer. 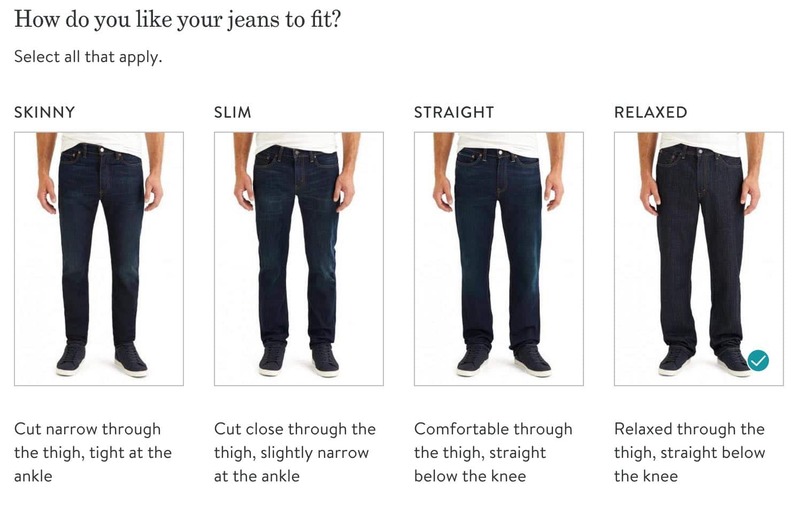 My wife put me on to this company in a search for jean: about 25 pounds ago, I had bought a pair of “Relaxed fit” ( a different brand- via internet, and not an extremely well known brand. I loved them: soft, good wearing, nine Count them: 9! belt loops, long zipper tab. But their idea of relaxed was HUGE! I found another (major brand) of jeans, better fit, 5 belt loops, short zipper tab, This pair is a good buy, except for some minor points. But I learned a few things: Egypt makes the besrt medium priced jeans; China:?, All Latin America?Terrible. As soon as they arrive, I bring them to the Good Will bin. I agree. Their stylists don’t listen, even if we put what we want in large caps and picked it on their forms. I can’t understand why. I suffered through 2 stylists, gave them photos of what I like and they messed up. I’m not hard to please. I’m a doctor and want nice contemporary work clothes. I’m still with the. 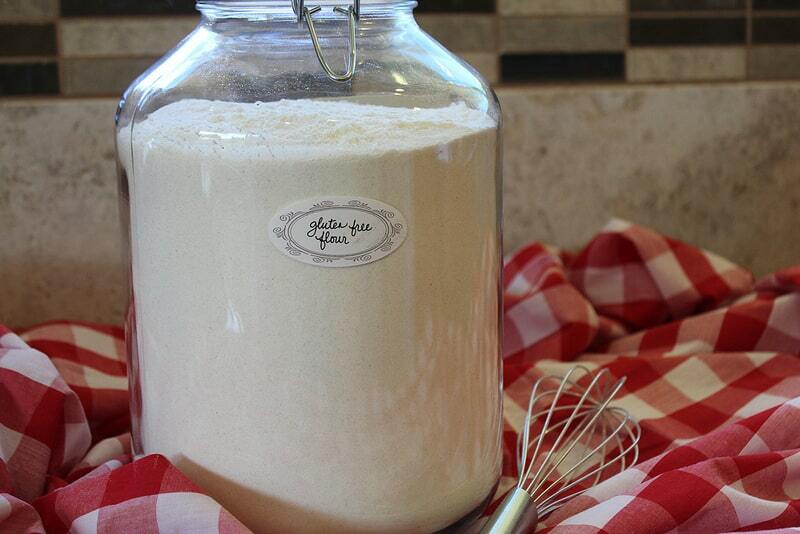 To keep also notice their private labels are still pricey. So if I’m paying more and not getting what I want, why keep doing it. Because of hope. But even hope ca. Wither. Who the heck pays $90 for a shirt and $28 for socks? And then in the end doesn’t get what they asked for? Not this guy. 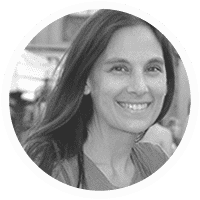 Stitch fix is great for people who are always on the move and want the same types of clothing replaced each month. But I always end up returning most of the items.